Traditionally, materials scientists have not made serious attempts to create materials that contain more than three elements because of the tendency of each elements' atoms to clump together. Scientists also assumed that such multi-element materials wouldn't have any valuable real-world applications. "This will really change the way people think about materials that were previously thought to be immiscible," said Reza Shahbazian-Yassar, associate professor of mechanical and industrial engineering in the UIC College of Engineering and an author on the paper. Materials scientists at the University of Maryland, College Park, led by Liangbing Hu, produced the unique nanoparticles, known as high entropy alloys. "The novel high-entropy nanoparticles could be used in a broad range of applications, particularly as catalysts in emerging energy and environmental technologies," said Hu, associate professor of materials science and engineering. The Maryland scientists used a two-step process that included a brief heat 'shock' followed by rapid cooling to get ions of various elements that normally wouldn't form alloys to mix and stabilize in crystalline nanoparticles. During the rapid cool down phase, these ions form a single solid crystal that is a uniform, homogenous mixture of multiple elements. "At the atomic scale, the various ions are found one next to another," said Shahbazian-Yassar. "So, there would be, for example, a gold atom next to a nickel atom, next to a copper atom, next to a platinum atom — resulting in a homogeneous, mixed single-state nanoparticle that looks like a single unique material." 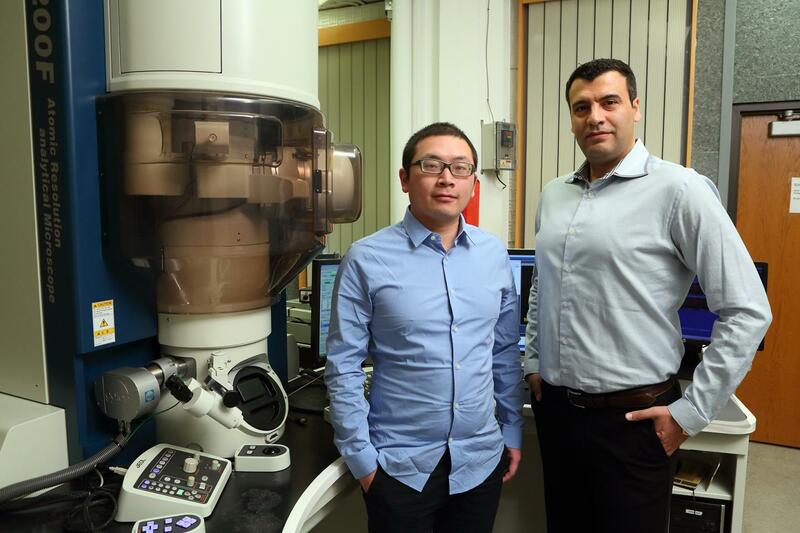 To confirm the homogeneity of the nanoparticles, Zhennan Huang, a doctoral student in the UIC College of Engineering, and Anmin Nie, a former postdoctoral researcher in Shahbazian-Yassar's lab, used advanced scanning transmission electron microscopy to image the crystals and identify individual atoms. They were able to determine that at the atomic level, their nanoparticles were made of homogeneous mixtures of different combinations of platinum, cobalt, nickel, copper, iron, palladium and gold. "We were able to provide definitive proof that these nanoparticles didn't have lumps of a single element, but that each of the component elements were distributed equally throughout the nanoparticle," said Huang. "But in reality, we really don't know all the ways these nanoparticles might be used because we've never been able to make them before at nanoscale," said Shahbazian-Yassar. "Materials science textbooks only discuss alloys of maybe three different elements at most, so we are really in novel territory here."